Single 9 volt battery box. 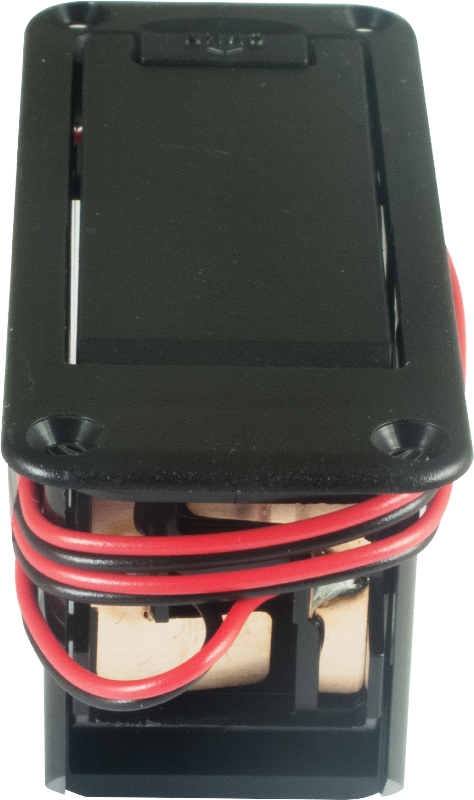 See P-ECB-9V1B for single battery box with removable adapter. See P-ECB-9V2 for double battery box. Mounting Center Distance A 0.814 in. 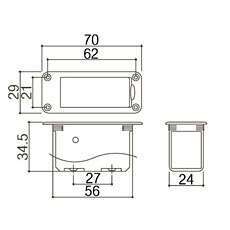 Mounting Center Distance B 2.423 in. Fastener Hole Diameter 0.102 in. Packaging Dimensions 5 in. x 4.5 in. x 1.14 in.